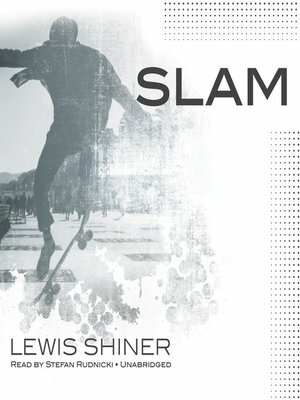 Slam is a bright and acerbic depiction of the slacker culture of Texas and a testament to a lost and found generation. Dave stepped out of Bastrop Federal Prison after a six-month stretch for tax evasion and into the home of one Margueritte Johnson, a.k.a. the Old Lady. The Old Lady passed on, leaving her house and her fortune to her twenty-three cats. But the cats need a caretaker—or so he thinks. There are others with an eye on the Johnson estate, and soon Dave is caught up in a whirlwind of anarchists, gold diggers, skateboard punks, lawyers, hackers, and arsonists—a population of dropouts and misfits who will do anything to avoid doing anything. Lewis Shiner is the award-winning author of the novels Dark Tangos, Say Goodbye, and Glimpses, among others. He lives in Durham, North Carolina.